The Selbyville Middle School Indians’ girls’ soccer team gathers in front the net. In middle-school sports, players and teams are often just trying to learn the game and prepare themselves for their future days at the high-school level. The Selbyville Middle School girls’ soccer team is certainly the exception to that rule. In the past three years, they have not lost a single game. The eighth-graders who will be heading to the high school next fall have not lost even one game in their three years at the middle-school level. They’ve never had to taste the bitterness of defeat. That is pretty special for a pretty special group of girls. “This group of eighth-graders has put in so much effort and year-round training for the past three years,” head coach Neal Barch said of the group. “A few are on the same River Soccer Club travel team, but the majority come together for our spring season and quickly adapt to playing together. Over the course of those three years, the eighth-graders compiled a 28-0-1 mark. The group scored 151 goals, while only permitting 10. This year’s 9-0 mark was highlighted by only allowing two — that’s right, two — goals on the season. They scored 43. Led by goalie Hanna Bird, along with the defense, the Indians posted seven shutout wins. Bird had a three-year total of 21 shutouts. Chloe Beam, Leslie Cordoba-Leal and Kendall Cathell were the team’s leading scorers, with five each. Beam and Vasilia Diakos each had seven assists. Isabella Scurci scored three goals to go with four assists, while Emma Ruley had four goals and one assist. Carley Topper and Brynn McCabe each chipped in three goals and two assists. Hannah Bird — not the goalie (this one has an H at the end of her name) — picked up a pair of goals and an assist. Briana Cedeno may not have gotten her name on the scorer’s ledger, but Barch noted that she was simple “unbeatable” on defense. “She never wanted to move up and try to score,” he added. 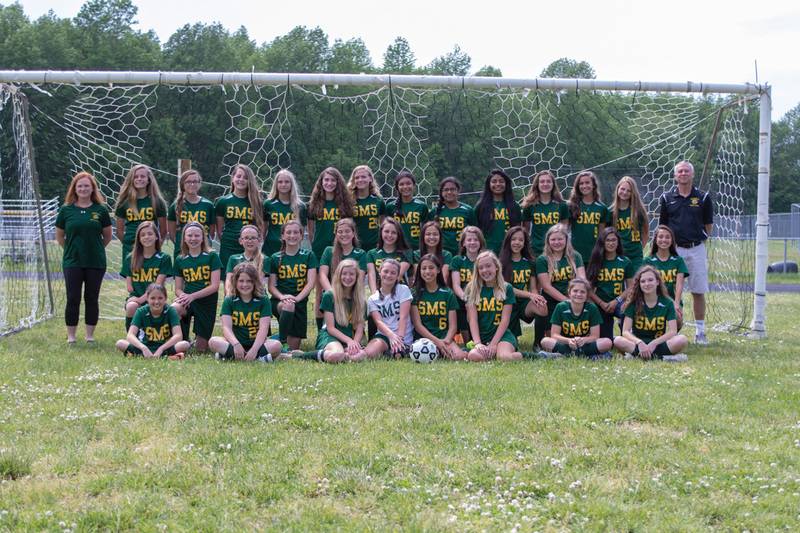 With the success of the high school program they’ll join next fall, it is expected that this group of eighth-graders will only add to that rich IR soccer tradition.